Mimsy: But the rhetoric’s so much better here under the tragedy! But the rhetoric’s so much better here under the tragedy! If we aren’t willing to investigate people who clearly need investigating for fear of looking racist, no gun control law will stop future terrorists from simply joining a security company and gaining access to weapons. And if Mateen had been investigated correctly, no gun control law would have been needed to stop this killing. Once again, the left is cynically using a mass murder to push gun control schemes that wouldn’t have worked to stop this mass murder. He was an employee of a security contractor used by the federal government. He’d passed not just a normal background check but an actual investigation by the FBI; and he committed his murders in a gun-free zone. They’re creating the ultimate gun law loophole: their laws make it harder for victims to defend themselves, and do nothing to stop more mass murders like this one. The left is in the position of the guy who loses his watch in the alley, and looks for it all night underneath the street lamp. The truth is, that guy wasn’t looking for his watch; he just needed an excuse for walking the street. 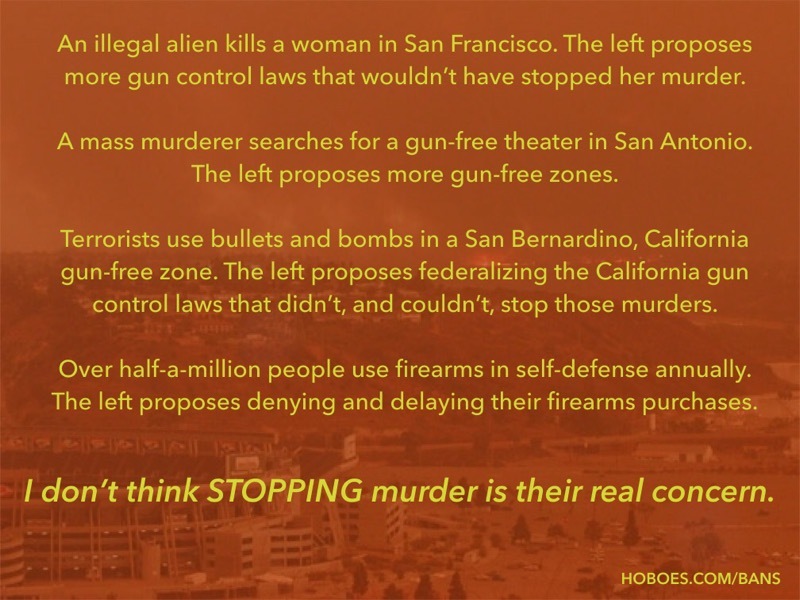 No matter where the problem is, the left always searches for the answer in making it harder for the law-abiding to defend themselves. 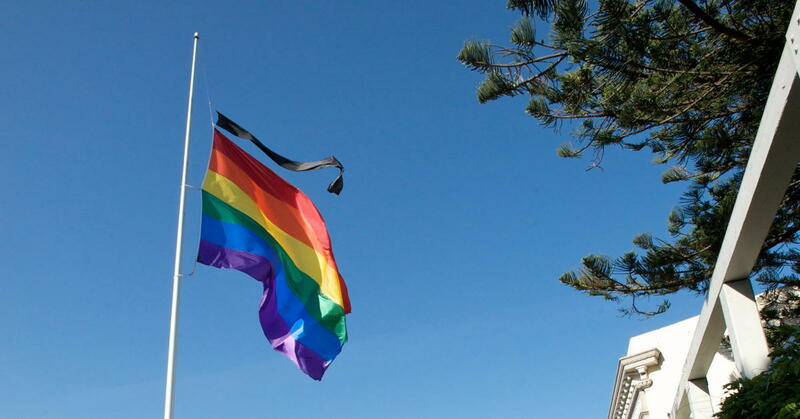 The left isn’t willing to accept the actual facts—Islamic extremists tell us they want to kill gays—and the left wants to ban guns anyway, so of course when an Islamic terrorist kills at a gay nightclub the left exploits it for more gun bans against law-abiding citizens, including those, such as the gay community, who are at risk from the left’s politically-correct policies. The left proposes further disarming gays, and everyone else who doesn’t have ties to terrorist networks. It’s as if the left wants these murders to keep happening. Making it harder for everyone to buy guns except those with ties to terrorist networks or who infiltrate our security services will make it easier for terrorists to commit murders like this in the future. By his ex-wife’s account, the terrorist hadn’t just internalized radical Islam’s hatred of gays, but also their disdain for women. Refusing point-blank to recognize the nature of radical Islam’s hatreds also makes it easier for them to commit crimes like this in the future. The ACLU actually blamed the Christian right for radical Islam’s hatred of gays. The Christian right is not in control of Iran; the Christian right does not throw gays off of buildings in Iraq and Syria. The Christian right has not made homosexuality a death-penalty offense in a dozen Muslim countries. The ACLU has come completely unhinged. They don’t want to stop murders like this. They act as if they want more of them. Refusing to investigate a security guard because they’re Muslim will allow any future terrorists to easily bypass any laws making it harder for the patrons of gay bars to defend themselves. Security guards are exempt from many gun control laws, partly because Democrats don’t want to disarm their own security, and partly because they have to undergo background checks when they get their security credentials, which Omar Mateen had done. The left knows that their proposed “reforms” will do nothing to stop future Omar Mateens. But it will stop future victims from taking action to not be a victim in the next attack. A Muslim terrorist infiltrated a DHS security contractor and killed 49 in the gay community in a gun-free zone. The left proposes denying the gay community the right to defend themselves. The left acts as if they just want to keep hanging out under the streetlight of anti-Christian and anti-gun leftism. They act as if they’ve chosen Muslim extremism over the lives of the gay community, women, and everyone else who is being targeted by radical Islam. If a white male had said and done the things Mateen did leading up to this murder, but in the context of a KKK-style group, the investigation would not have stopped—nor should it have been—just because he alleged anti-white harassment on the part of his colleagues. These are the wages of political correctness. Ignoring what radical Islam already does throughout the world. Ignoring what one Muslim told his coworkers he was going to do. It is another form of soft bigotry that turns out to not be so soft after all. But it is what the left thrives on. It’s just another tragedy to exploit while a nation grieves. The left tells us they want to ban everyone who is secretly on the national watchlist from buying guns, but this murderer wasn’t on the watchlist, which is easy to get on and difficult to get off. If he had been, current law already says that the FBI would have been notified that he was buying weapons. One would hope that if someone who has actually been investigated twice purchases two rifles, the FBI would immediately investigate again. But of course, that wouldn’t allow the left to call for more gun control. The left wants to make it harder for the average citizen to purchase weapons, but this murderer was employed by a security contractor, and had access to weapons through his employment. They’re not targeting murderers. They’re targeting victims. Because that’s where the political light is. In response to U.S. homicide rate compared to gun control measures: Extrano’s Alley lists the U.S. homicide rate from 1885 to 1940, and somebody else puts it into a chart. I emphasized that because for most people, it is notoriously difficult, if not impossible, to get yourself removed from the watch list even when you’re there accidentally. This actual terrorist was removed without his even asking. 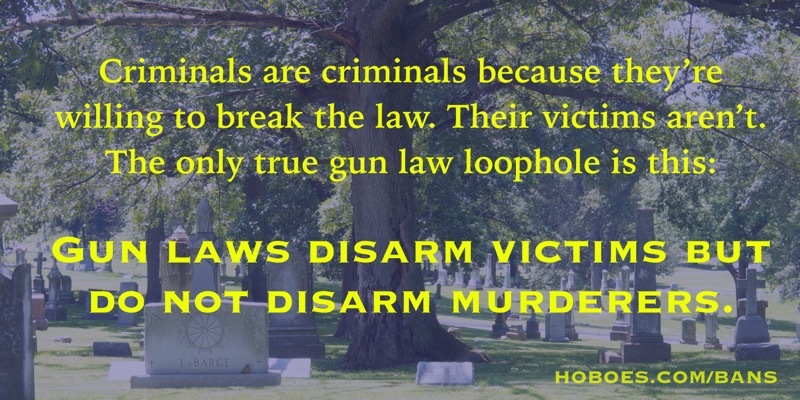 The only true gun law loophole is that criminals are willing to break the law. Law-abiding victims are not. Gun laws disarm victims but do not disarm murderers. Owen, if they admit that it was against gays, they’ll have to tie that to Islamic extremism. They aren’t going to. They’ve chosen terrorists over you. If America does not provide an alternative to the evils of progressivism gone awry in the world, it is lost. There’s a reason giant corporations and the biggest conglomerates are almost all donors to Democrats if they prefer one party over another. The left’s policies kill their upstart competitors. Big government hurts small businesses far more than it hurts big businesses. The solution to the graphs of destruction is the graph of freedom. Garland, Texas, gunman Nadir Soofi purchased at least one firearm through the Obama administrations Fast and Furious program for arming drug lords, according to Justice Department sources. But the rhetoric’s so much better here under the tragedy! last modified June 14th, 2016.